Step into the spotlight, the stage awaits! Camp StarQuest now has a wait-list. If you are still interested, please click the button below to fill out the online form. You may also contact Alise Robinson at arobinson@jccdallas.org if you would like more information. Camp StarQuest is a four-week Musical Theater and Performing Arts Intensive that teaches the fundamentals of theater, music, and dance – all in the process of creating a fully-staged production of a hit musical. Students will have access to professional lighting, sound and dressing rooms in our state-of-the-art theater. 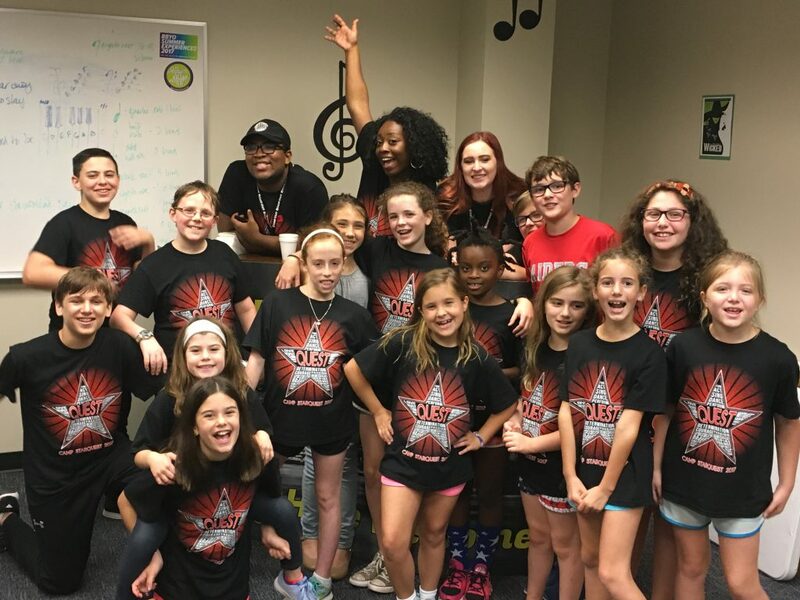 Taught by industry professionals from broadway to DFW, we fuse a traditional summer camp philosophy with a top-notch performing arts program designed to keep our campers invigorated, engaged, challenged, and happy! A main-stage musical production: this summer’s musical is guaranteed to offer our campers various ways to shine and show their talents on the big stage! AMAZING professional instructors and staff from all over DFW. Our staff are very carefully selected and are the best of the best of what Dallas has to offer within the performing arts. Linda Leonard, our performance director, is a veteran of the stage and has been seen on both TV and in national touring companies. Focus on the mind-body connection – we will have daily meditation before rehearsals and engage in yoga workshops. Click the various tabs below to watch a personal message from your 2018 specialty staff! Click the various tabs below to read about your 2018 general counselors! 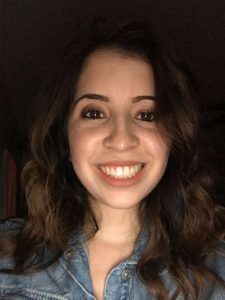 Marissa Gutierrez just finished her sophomore year as a theater major at Richland College. Last season she stage-managed Gray, Barbecue Apocalypse, and Waiting for Godot. At the Kennedy Center American College Theater Festival she received excellence in stage-management for the production of Waiting for Godot. This past summer she worked professionally as a stage-manager for The Boxer as part of the Festival of Independent Theatres. 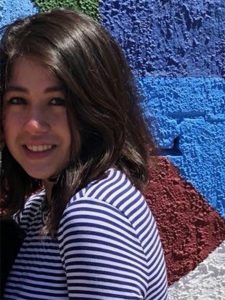 She has also worked as a stage-manager for JPAS’ main-stage productions and as a counselor with StarQuest and StarPower last summer and is thrilled to be working as a counselor at StarQuest again this summer! Cate recently graduated from Hockaday and plans to study theater in college next year. This is her third year working at Camp StarQuest. Cate’s favorite thing about working at StarQuest is seeing her campers grow and make strides in just four weeks. She can’t wait to come back to work with the campers to be the best they can be! 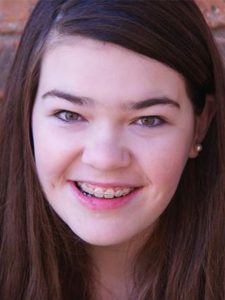 Sophie Pearson is a student at The Hockaday School, and will be a senior in the fall. 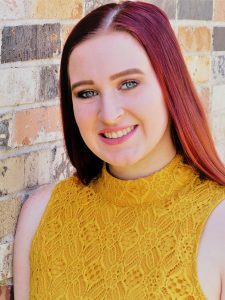 She is a passionate singer, participating in her school’s choir and musical theater program, as well as both TPSMEA All-Region and All-State Choirs earlier this year. Sophie is incredibly excited to experience the joy of musical theater with each and every camper this summer. This is her second year working at Camp StarQuest, and she is super excited to be coming back for another great summer! Rachel Ann Smith is a freshman at Collin College, entering into her sophomore year, majoring in education with a minor in theater. 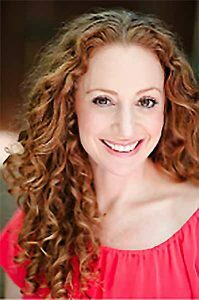 She most recently performed in Once Upon A Mattress, Little Shop of Horrors, 21 Chump Street, and had the opportunity to choreograph Once Upon a Mattress and 21 Chump Street, as well as directing a production of An Angel But In The Dark. Rachel was delighted to be back at JPAS this past Spring for her second mainstage production, and is excited to be working for her second summer as a Camp StarQuest counselor! We often include specialty workshops and guest speakers: audition technique, scene study, costume and production design, lighting and sound, song-writing, acting business 101.